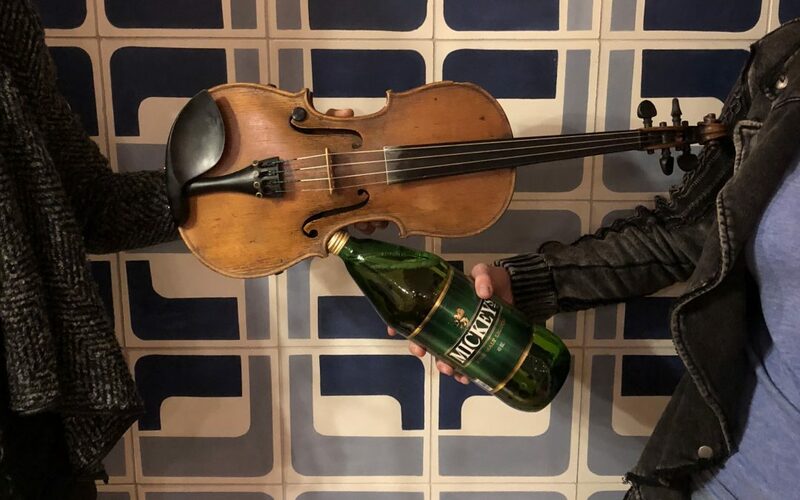 The Modbo presents a short and sassy classical music informance, “Schmaltz Liquor,” by violinist Harriett Landrum and pianist Lauren Ciborowski. Sunday, February 11th, 4 pm. Just $7 for students and seniors, $10 for everyone else. Harriett and Lauren will perform most of Johan Halvorsen’s Suite for Violin and Piano, replete with anecdotes, some music history, and a lot of conversational eccentricites. There are only forty tickets total available to this show, so reserve yours today by emailing themodbo@gmail.com. The Modbo is located in the Arts Alley in downtown Colorado Springs at 17C E. Bijou. Find the stretch of Bijou that is between Cascade and Tejon, and go south down the alley. Street parking is available, but The Modbo recommends the lot on Cascade just north of Bijou, which is only a $1 on weekends. The Modbo can be reached at themodbo@gmail.com, themodbo.com, or 633-4240. Lauren Ciborowski began playing piano at the age of 5 and has not stopped since her mastery of “The Little Tugboat.” As an Army brat, she has lived, and thus performed and studied, all over the United States and Germany. In 2009, she opened an award-winning gallery in Colorado Springs, The Modbo, out of which she also runs a musical cabaret. She has worked as a professional pianist and teacher for over a decade, and is an accomplished ballet accompanist. Lauren also plays chamber music, plays and sings with her band, and maintains an active teaching studio of nearly twenty students in downtown Colorado Springs.